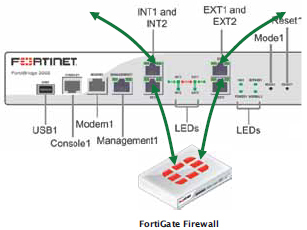 The FortiBridge-2001 appliance provides bypass functionality to inline security devices, including the FortiGate family of consolidated security systems. Operating in transparent mode during normal operation, these appliances automatically bridge network traffic in the event of a system failure or power outage to ensure mission critical network continuity. 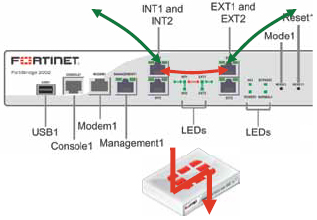 The FortiBridge-2001 appliance provides four 10/100/1000 interfaces for fail-to-wire bypass protection.